Russian search engine Yandex improves its services for the local audience with a huge increase in indexed pages comparable to the most popular search engines. Russian search engine Yandex has expanded its global search index with the hopes of competing internationally with the most popular search engines, Yandex CEO Arkady Volozh announced during the St. Petersburg Economic Forum. “We are launching a new version of the global index, which is of the same caliber as Bing and Google. We are currently working with tens of billions of documents. This is already working. Log on to yandex.com and check it out,” Volozh said. The Yandex CEO said that the search engine previously indexed only 4 billion pages. Volozh added that the company planned to install the new index in local products, integrating the new technology in Russia, Ukraine, Kazakhstan, Belarus and Turkey. How big can Yandex get? The potential for Yandex’s further expansion into other markets and the direction of this expansion will be analyzed this fall, when Yandex examines its performance in Turkey. Some observers and competitors are quite skeptical about Yandex’s future in Turkey, where the company launched its search engine in September 2011. 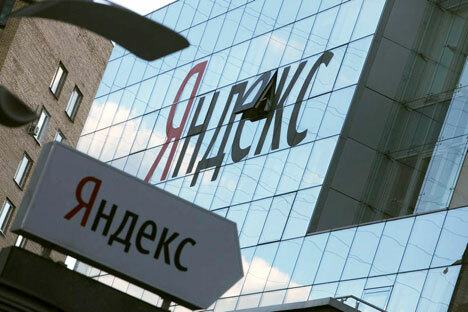 Since then Yandex’s share in the Turkish market has grown to 0.6 percent from zero, according to analysts. “You can’t call it a breakthrough. We can talk about Yandex succeeding in foreign markets only after the company has a decent share in the Turkish market,” said German Klimenko, CEO of LiveInternet. Yandex launched its own global index in May 2010, enabling users to search for information around the world. However, Volozh acknowledged that he was working with only the most popular websites, which was enough to process 80 percent of queries. Yandex does not plan to enter the U.S. market because of the competition; however, in local markets, the Russian search engine will be providing the same volume of services and data that foreign competitors offer. “We can’t afford not to have American or French sites on Yandex,” Volozh said. He said other companies that require global search services, but that cannot work with Google or Bing for some reason could license the Yandex search. To date, Yandex is Russia’s leading search engine with a market share of 60 percent.